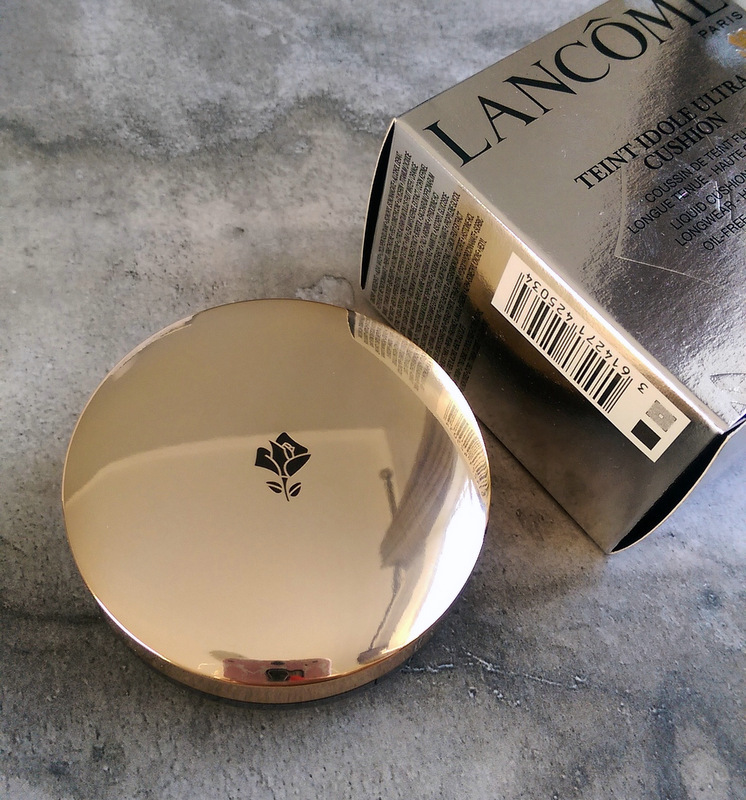 Lancome have always made spectacular foundations and their latest, Teint Idole Ultra Cushion, is no exception. Housed in a handy mirrored compact, the formula promises and delivers on long-lasting natural-looking coverage that, depending on how you apply it, can be sheer or full. Using the sponge it comes with serves up a fuller look but if you use a regular foundation sponge spritzed with water you’ll get a lighter look. This shade is called 04. There’s a fair bit of thought behind the cushion, something Lancome refer to as ‘jel-liquid technology’. 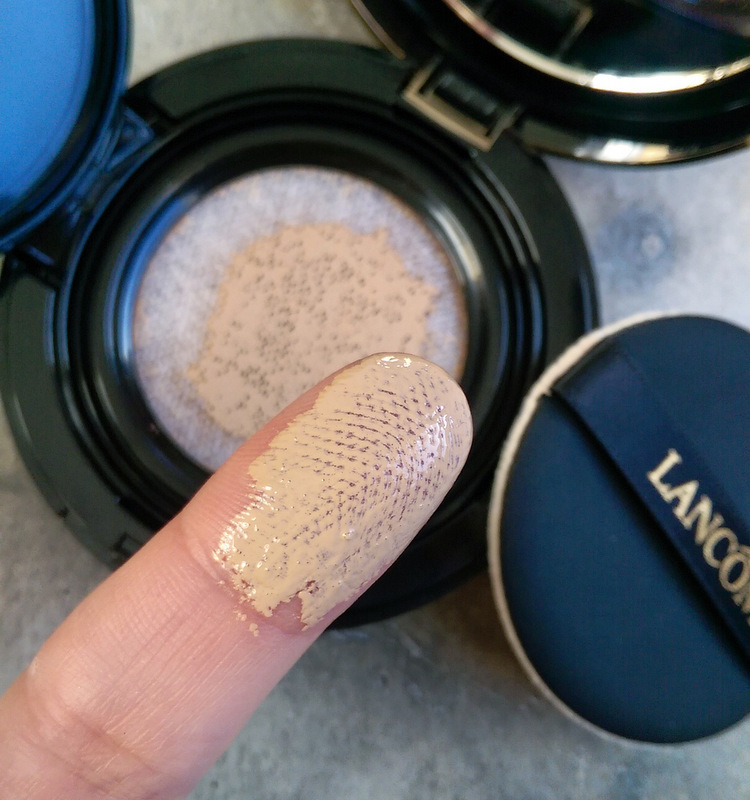 Lancome says that their formulation is thick by nature, but when it’s pushed through the mesh of the sponge it loses viscosity, meaning it becomes more fluid. Then, when it makes contact with the skin, some of it evaporates and this causes a slight ‘cooling’ sensation. I’ve always known about their iconic thermal water and that they created other things too, moisturisers and cleansers, but didn’t have any idea as to the range until a recent media event. They offer about fifty different products that target everything from pigmentation to acne. I was given a few of their goodies to try so you’ll be seeing more of them on the blog as the days go by should I find any favourites but so far there are two that I’ve really enjoyed using. The first is their Micellar Lotion (R185 at Dis-Chem and R199,95 at Clicks where are mix and match 3 for 2 special is running). It’s called lotion, but it’s a ‘water’ and we all know about micellar waters by now. They’re a brilliant way to cleanse your face and remove make-up in one simple step. No need for rinsing! This takes off literally anything – even waterproof mascara. 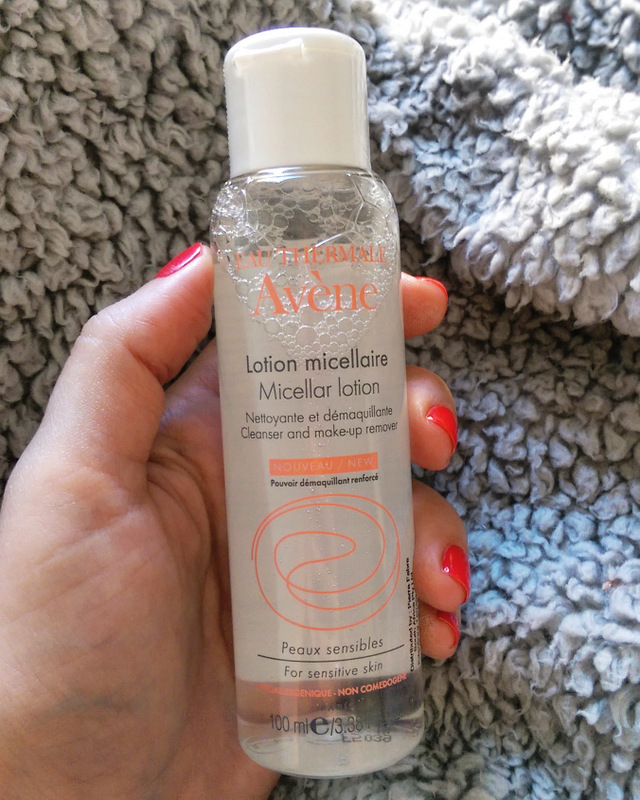 I’ve used loads of micellar waters and some are better than others but Avene’s is one of my top picks. It’s made with Avene’s famous thermal water, not regular water, so it’s got a neutral pH and low mineral content. Low minerals is a good thing because if a liquid contains a lot of them, they sit on top of your skin in a microscopic ‘salt’ layer that can dehydrate your skin when the water evaporates. Last, but not least, there’s an entirely new French beauty brand in town and that’s SVR. Created by a pharmacist duo back in the 60s, SVR is now available in 45 countries and prides itself on concentrated ingredients that have all been tested on sensitive skin. Much like Avene, the range is big and caters to lots of different skin types and concerns. 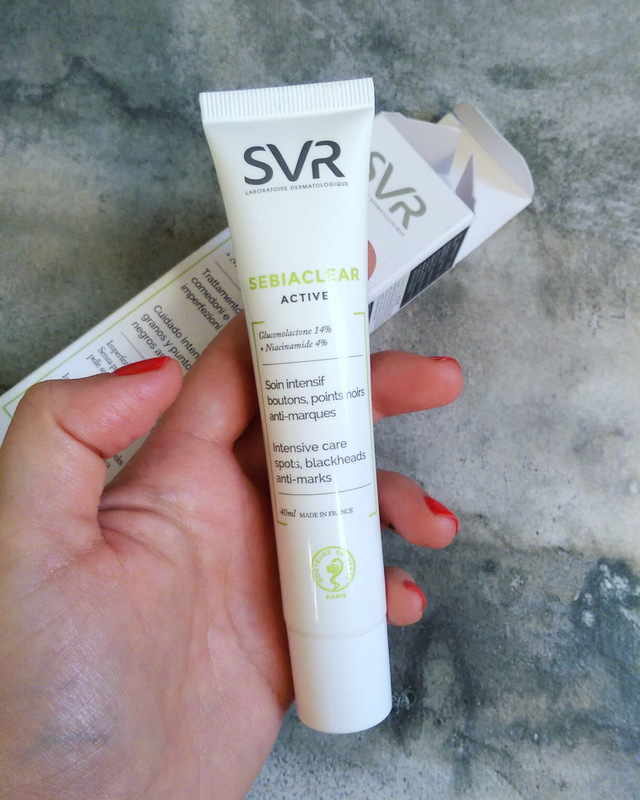 I was given something from their blemish-busting line – Sebiaclear Active intensive care spots, blackheads and anti-marks cream (R250, exclusive to Clicks). From a formulation perspective, this baby’s pretty golden. Sure, it contains pore exfoliating salicylic acid, but it also makes use of gluconalactone at a pretty potent 15%. If you’re a fan of Neostrata cosmetics, you’ll know that brand loves using gluconalactone and readers have asked me if I know of anything else that contains it at a much more affordable price tag. Sadly, I didn’t but now can happily recommend SVR. Gluconalactone is an acid with exfoliating properties that can help reduce the appearance of fine lines but, unlike AHAs, it’s much more gentle on the skin so it isn’t likely to cause irritation. It’s also been proven to have just as good a spot-blitzing effect as benzoly peroxide but caused fewer unwanted side effects. Another nice ingredient in the mix is niacinimide (vitamin B3). A multi-tasting super star, niacinimide helps even out your skin tone and improve your skin’s barrier function. It’s also got good anti-inflammatory and antibacterial properties which makes it a nice addition to any product targeting spot-prone skin. My only gripe? This product has a lovely, light fluid texture but they’ve been heavy handed with the mattifiers so it’s great at controlling oil but makes make-up really application tricky. 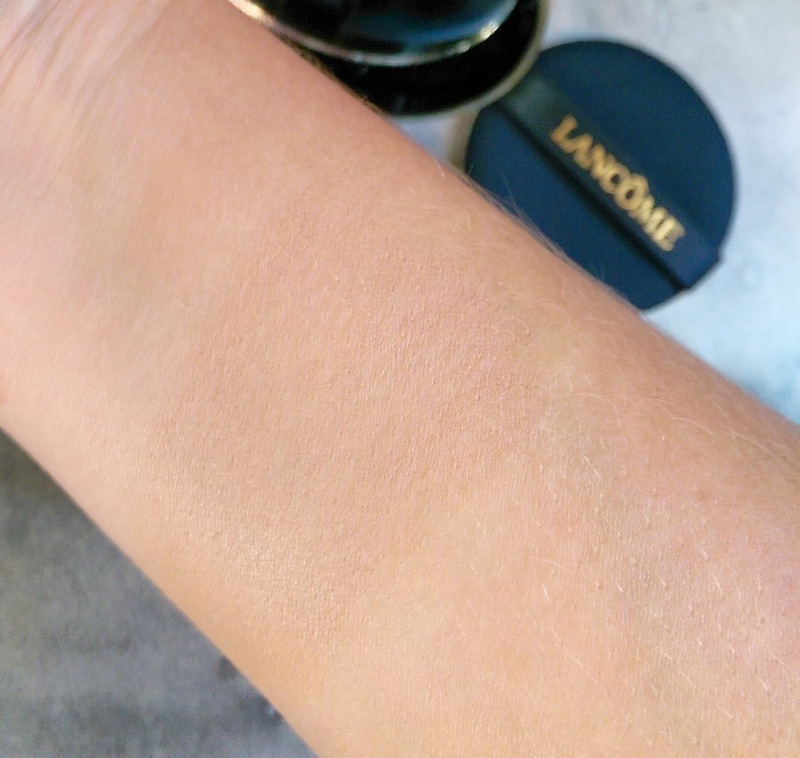 Thus, I wouldn’t consider this a good partner for foundation (tide marks and pilling) but it works well when I wear it on its own with just a little concealer applied with a patting motion after its dried. If you don’t wear make up (hello boys!) or intend to use this solely at night you don’t have anything to worry about. Again, I have to say I’m so impressed with the high concentration of actives in this product. For less than R250? It’s an absolute steal! Who wants to win a Gelish mani, pedi and blow dry from Cape Town Beauty Bar? Hi, great review. I just started using the SVR cream, I’m 2 days in and I’ve noticed that it does wierd things to my tinted moisturizer. maybe I’ll use it in my night routine and not in the morning like you suggest. Hi hun! Sorry for the slow reply, I’ve just seen your comment now. Yes, I’d use it at night. It’s go so much mattifying powder in it that it makes blending make-up on top of it really difficult. I wish they’d reformulate to create a mattifier-free version as it’s got such good actives in it.